Incheon Bus Terminal Complex is where you can comfortably take any bus that travels outside Incheon City and to other provinces. It is where I took my bus, for the first time to Sokcho City, Gangwondo, to explore the famous Seoraksan National Park. Incheon Bus Terminal Complex is located in ‘Incheon Bus Terminal’ subway station of Incheon subway system. Yes, it is very accessible and pretty easy to navigate for people residing in this part of the city. 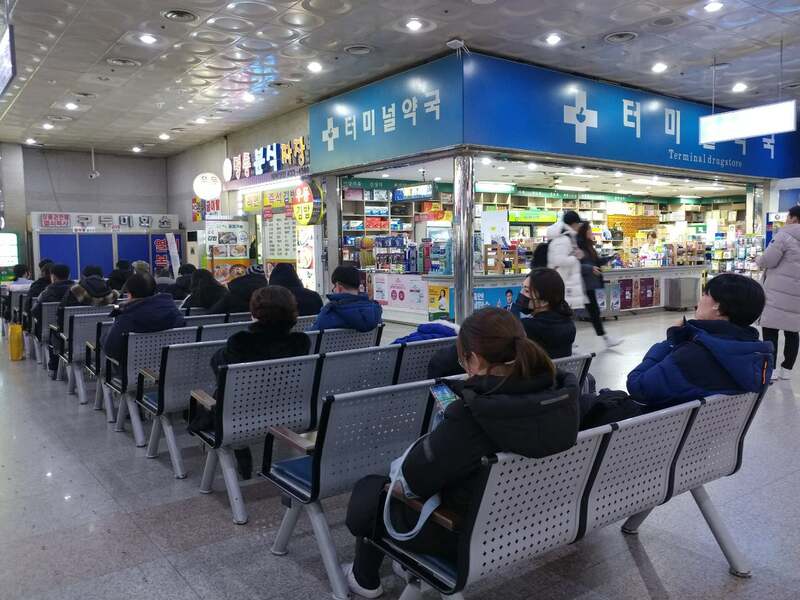 If you are in Seoul, head for DongSeoul Bus Terminal to take your express bus with similar or other destinations services. 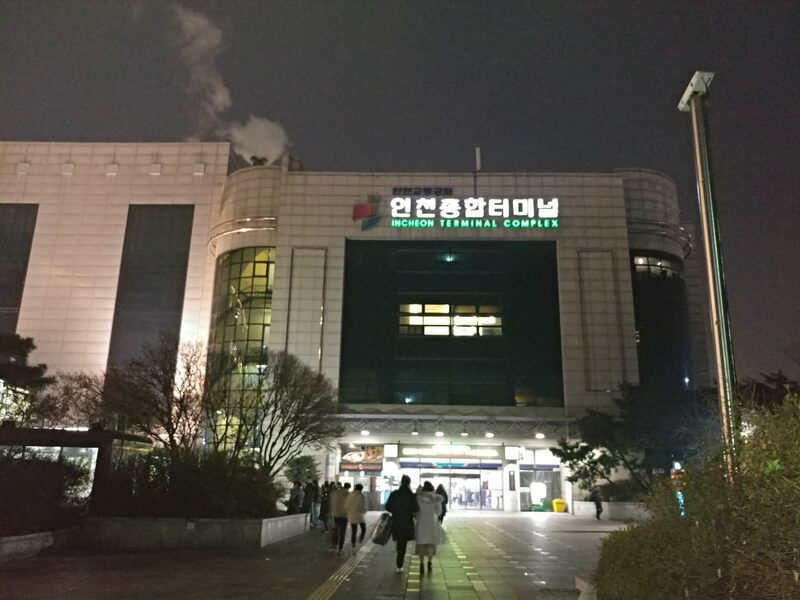 It is located at Gangbyeon subway station. In Seoul, other bus stations available include Nambu Bus Terminal (same name as the subway station), Express Bus Terminal (also the name of the subway station). As I mentioned above, you can take a bus going outside Incheon City’s boundary such as for Seoul. 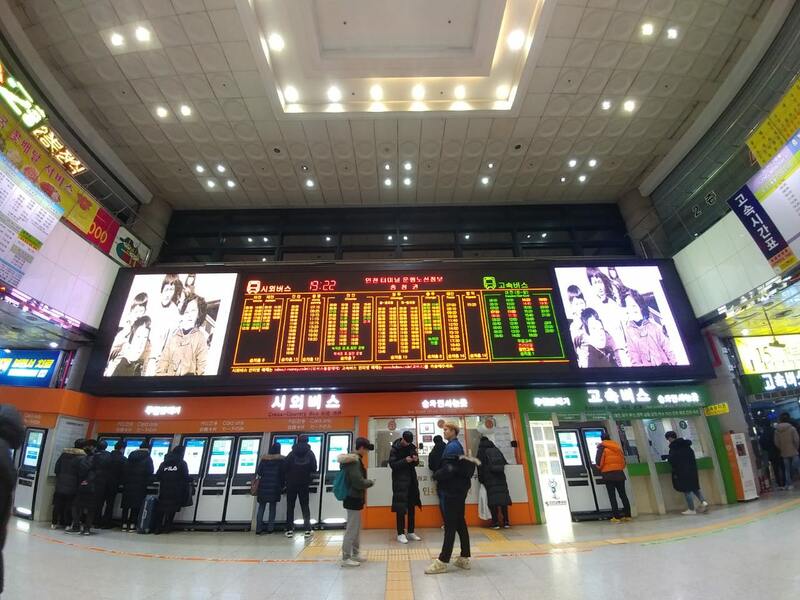 The other destinations are for other long-distance trips such as Gangwondo (e.g., Sokcho), Jeollanamdo (e.g., Mokpo, Gwangju), Jeollabukdo, Chungchongnamdo. You may buy your bus ticket online through an app or directly from the ticketing window or ticket vending machine on site. You can pay either in cash or using a credit card. I prefer to buy my bus ticket in advance online (download app here) for practical reasons: ensuring my preferred travel time, convenience, and seat location. Depending on your destination, but the bus I took from Incheon Terminal was the last one—at 7:50 PM. I arrived in Sokcho City at around 9:30 PM and walked to my hotel for less than ten minutes. Unfortunately, there are no late-night bus service nor 24-hour trips. 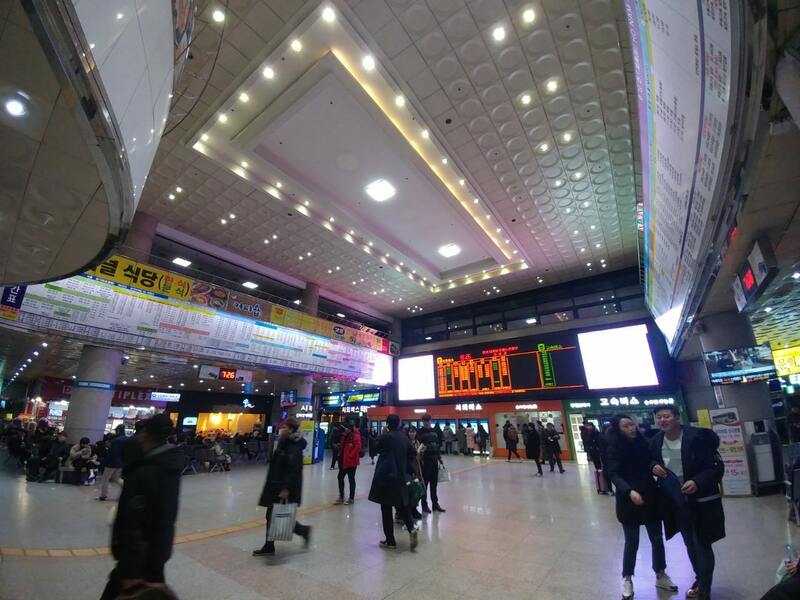 To get to Incheon Bus Terminal Complex, you can take the Incheon Line 1 subway from your point of origin to Incheon Bus Terminal subway station. At the subway station, just follow the direction for the bus terminal. You can either go to Exit #3 or pass through the department store (Lotte) linking with the bus terminal. Very easy to locate! Of course, taxis are readily available anywhere in Incheon area. 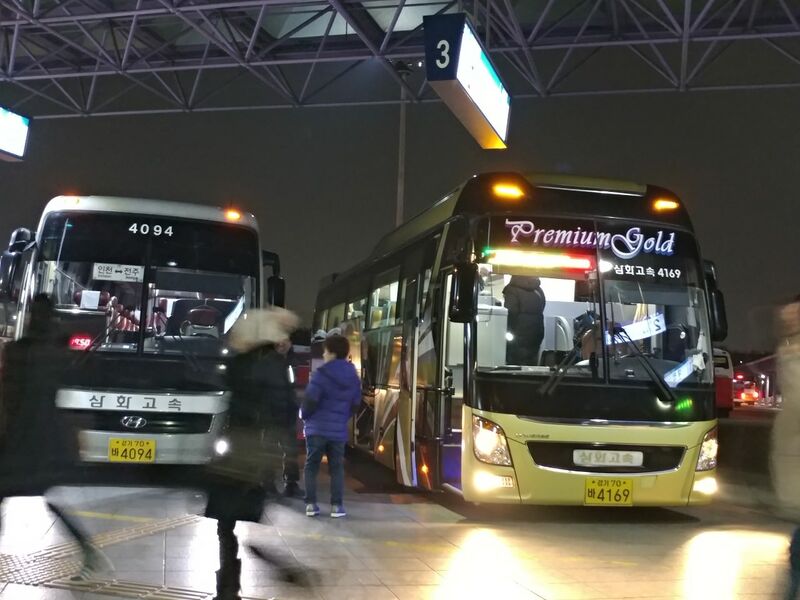 Buses going to the Incheon bus terminal are also available: 27, 11-2, 34, 35, 4, 520, 31, 908, 43.